Stop & Shop A+ Rewards Program has started! Register your Stop & Shop card to start earning money for RHS when grocery shopping. From September 7, 2018 - March 16, 2019, RHS will earn a percentage on all Stop and Shop sales made with cards linked to RHS. Register your Stop & Shop card online: sign in to your Stop & Shop account, go to "Savings" then "A+ Rewards" under "Rewards and Programs", then select Ridgefield High School as the school you want to support. Supported our school last year? If you registered last year and selected RHS to receive rewards, you do not have to re-register, but make sure you've selected RHS as your designated school! 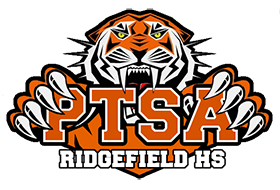 Just log in and confirm Ridgefield High School.